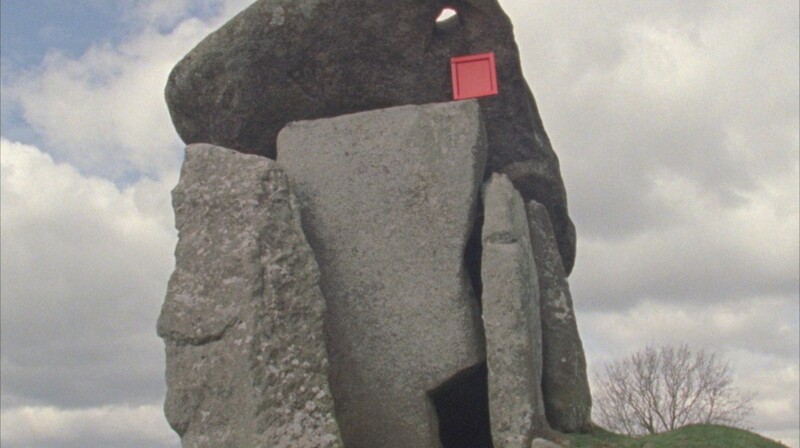 Referencing British Modernism’s preoccupation with the power of landscape and ancient mysticism, Jessica Warboys’ film Pageant Roll (2012) collages forms such as circles and squares and monochrome paintings with shots of Cornish standing stones and brightly-painted eggs. Through film, painting and performance, Warboys weaves together tangible physical places and objects with abstract gesture and metaphor that allude to psychological spaces. In Pageant Roll, this is heightened by an intermittent and unearthly soundtrack as the film loop plays forwards and backwards.